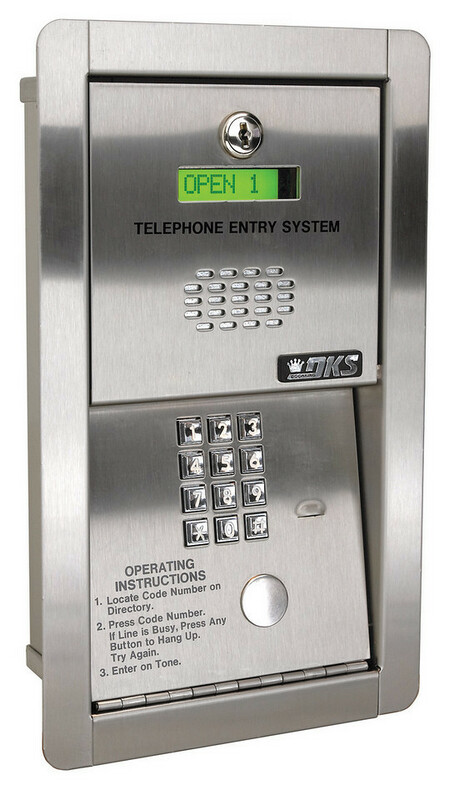 DoorKing's 1802 and 1802-EPD (Electronic Programmable Directory) are ideal telephone entry systems that are loaded with features and are suited for applications that have limited space and can be used in residential as well as commercial applications. The 1802 is designed for applications that do not require a directory, or in applications where a separate directory exist, while the 1802-EPD includes a built-in electronic directory. Visitors are easily identified by voice communication and can be granted or denied access directly from a touch-tone telephone. Please note that the 1802-111 post mount kit is required if the 1802 will be post mounted.